It took just over an hour to cross the border at Tohmajarvi/Vartsila. 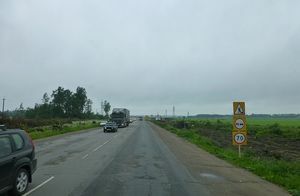 On the Russian side drivers are checked through passport control and customs separately to passengers. So it takes longer for the drivers to get through as their vehicles have to be checked. The poverty of the area after Finland is obvious straight away. 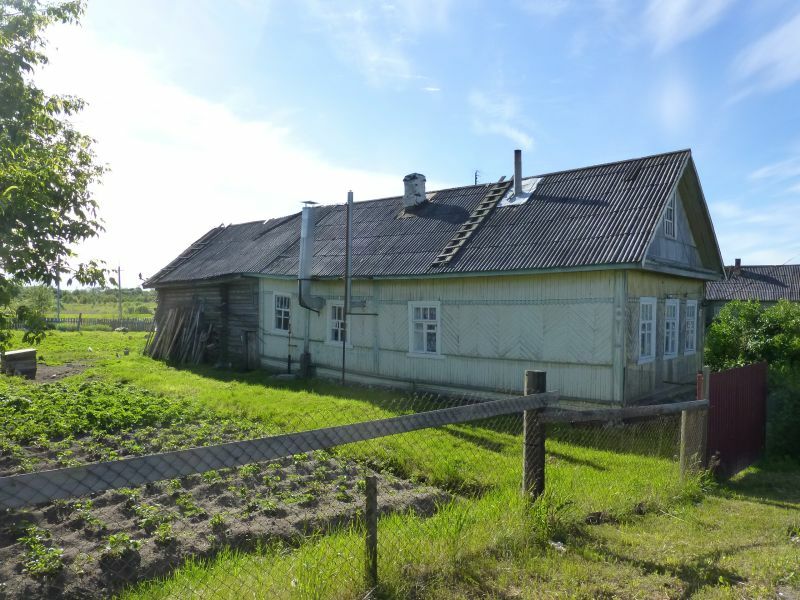 The roads and bridges are rough and badly potholed, the unpainted timber houses surrounded by their vege patches are in need of repair, older vehicles (the everlasting Ladas are back) and generally rough appearance of the towns close to the border. We drove through forests for the rest of the day. The forest looks lusher and more varied here. Our transport to the island. Heading for Petrozavodsk in the Karelian area (part of which is in Finland) to catch a hydrofoil across to the island of Kizhi. 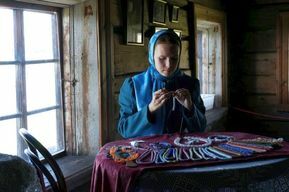 The island has Kizhi Pogost - an enclosure with the 22 domed Church of the Transfiguration which was under repair, the 9 domed Church of the Intercession and the belltower from around the 17th century. 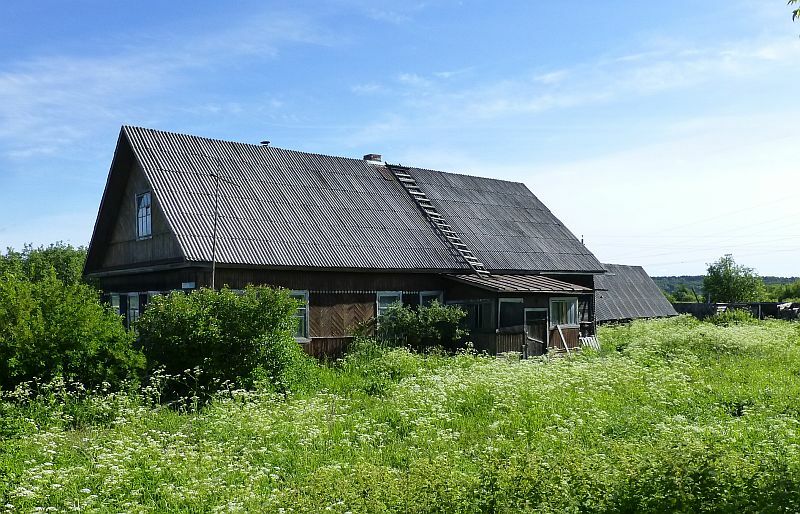 Old farm houses and other buildings have been brought to the area as a part of an open air museum. 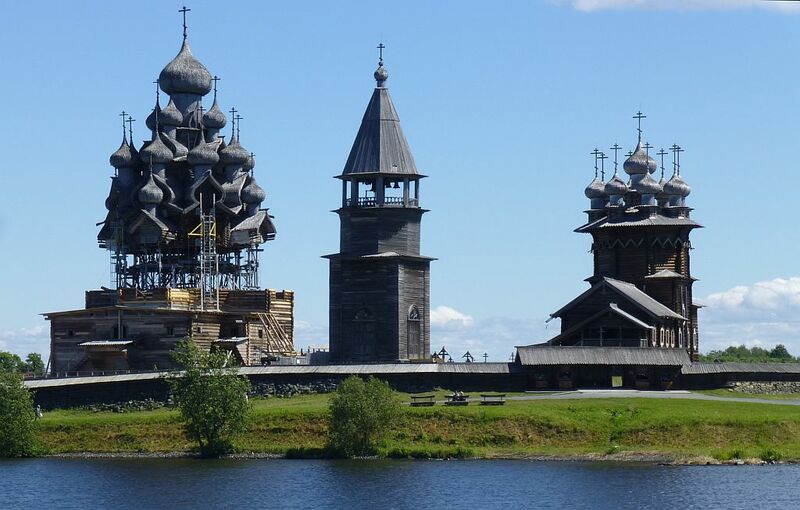 The pogost is listed as a UNESCO World Heritage site, John and Jude. 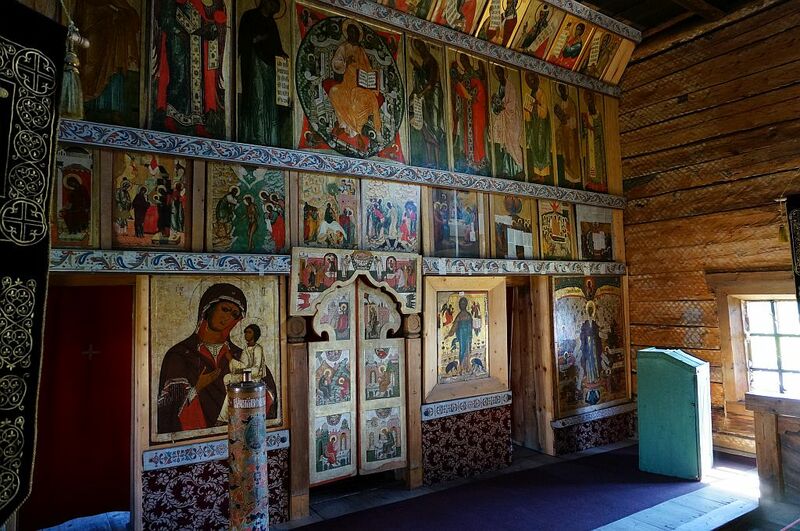 Supposedly not a single nail or saw were used in the construction of the timber churches. 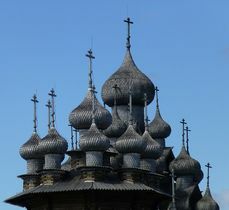 The domes are beautiful but it was very diasppointing to see the 22 domes of the Transfiguration Church perched on poles while it is slowly restored. Supported 22 domes of the church was a bit disappointing! A nicer angle to see the wooden domes from. 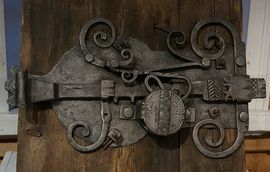 Interesting old lock in one of the old houses. We had heard some contradictory reports about Kivach Falls. Biggest falls in Europe? maybe before a lot of the water was diverted to a hydroelectric plant in 1936. Very average now but still buses of Russians going there. Interesting museum with a good wildlife video. Morning tea and it was decided to go southbound towards Veliky Novgorod passing to the east of St Petersburg. 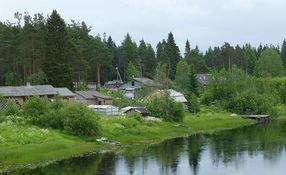 Old hydroelectric power station at the industrial town of Volkhov. We drove via Staraya Ladoga and its small old fortress which is still being excavated on to Veliky Novgorod with its huge fortress. 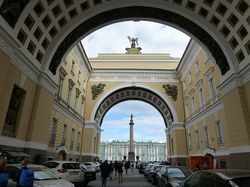 We were able to stay overnight in the public carpark only about 100m from the entrance to the Kremlin which was very lucky. The kremlin is free to walk through and many locals use it. There is an old market place and several old churches from various centuries across the river behind the kremlin. Church of the Saviour on Spilled Blood. 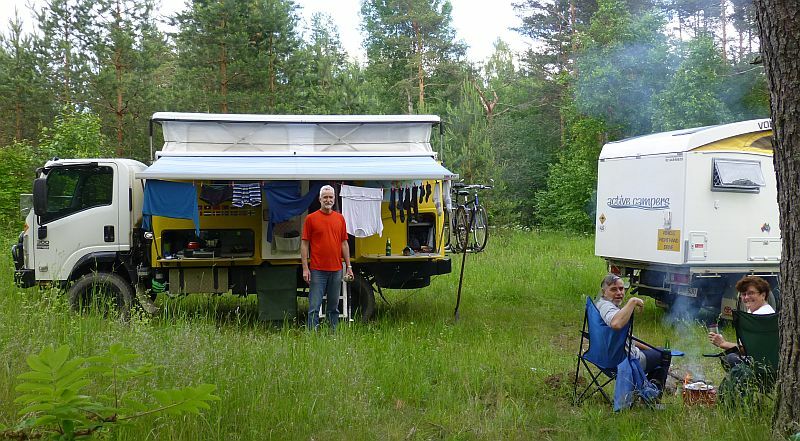 We only had about 70 kms to St Petersburg but the roads are not great and the traffic is full of trucks and speeding cars weaving about. Sadly there was a fatal accident with a body laying uncovered on the road. Very sobering. We saw 2 more bingles, a speeding car almost run a pedeastrian down on a crossing and a taxi scraped our back bumper when he misjudged the width of his vehicle. We had a hotel booked and we eventually found parking near a metro station close by. Time to enjoy the sights of St Petersburg and a hotel with wifi. We wandered from our hotel passed the Russian Museum to the Church of the Saviour on Spilled Blood, through the nearby gardens and along the canal next to the church. The major streets in St Petersburg seem to be 8 lanes wide with very wide footpaths as well. There are no buildings higher than about 6 stories in the city area, no modern architechture but well restored older buildings. We saw a lot of St Petersburg in our 4 days of walking around there. Some different experiences include coming across the ending of a passing out parade for police when we went to the Hermitage Museum, being there when the marathon was on, chancing upon a free jazz concert near the Russian Museum, some of the street entertainment and seeing an excellent contemporary performance of Cinderella by the Miriinsky Ballet at the Miriinsky Theatre 2. 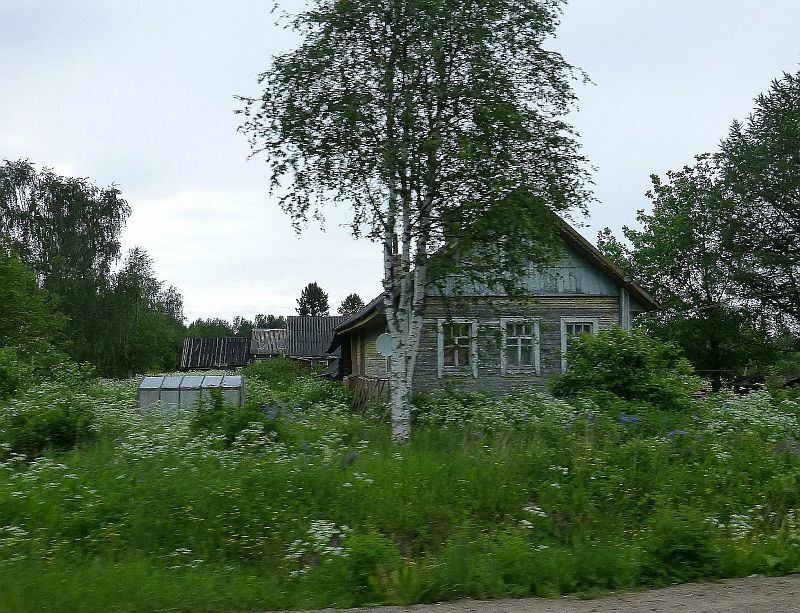 Goodbye to Russian country roads. In rain we headed off early for Ivangorod fortress and Estonia. 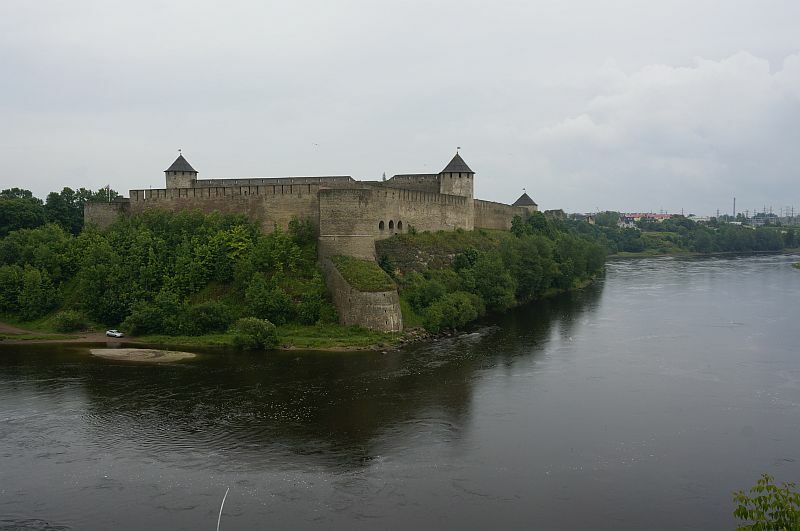 The Ivangorod fortress is on the shore of the Narva River which forms the border with Estonia. Meanwhile Estonia also has a fortress on the river, right opposite. The two forts, owned by different people have faced off eachother for centuries. This is what the Russian fort looks like from the Estonian side.